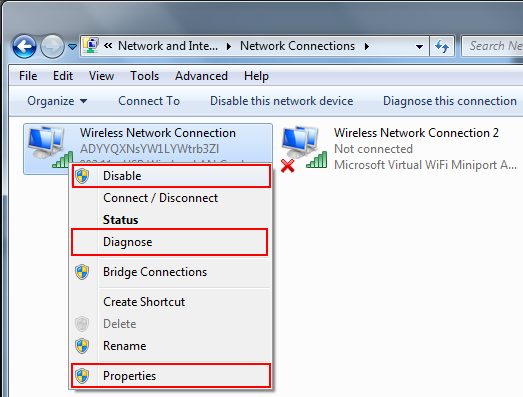 This tutorial try to fix the network connection error of limited access or no network access with yellow exclamation mark. Sometimes your Internet cannot be connected even everything is okay and you have been running all these previous days. But what happened today? You may get any network issue while you did not shutdown the computer or network device well. So you may see an exclamation mark with Limited Access or No Internet Access on network icon at right bottom of your start bar. These are some solutions that may resolve your issue. I hope that these tips will work with you. First of all your must ensure that your Internet connection is perfect, means Internet/data is reaching to your computer but your problem is regards with connecting to the Internet. 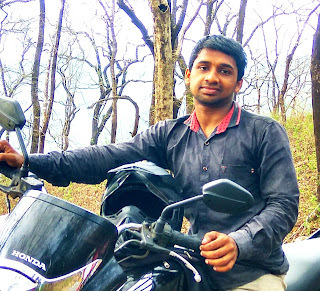 This method will helps you to find the reasons of your issue and this may automatically solve the problem. Right click on the network icon that located on the right bottom of your start bar. 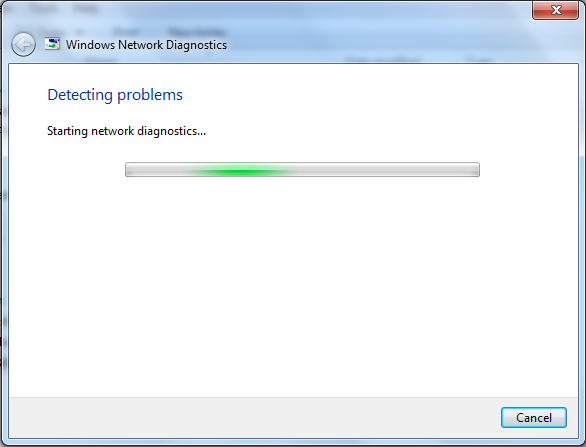 Your Windows Network Diagnostics will open and will start to diagnose your problem. If your issue is solvable by diagnostics itself then problem will resolve automatically. Sometimes diagnostics will show you the reasons for the issue such as network connection issue, modem issue, etc. So you need to do the corresponding action for the solution. Restarting your modem, computer, and other network devices may resolve your problem. Also resetting your modem may rid the issue. It is a service on the Windows operating system which manages all your internet and network connections. If it has any issue, restarting the service may fix your issue. Now a window of all your OS services will open. Right click on it and select ‘Restart’. This works well if you are using mobile modem like connecting via Wifi, Bluetooth, Wifi Adapter, 3G/4G Net setter Dongle etc. 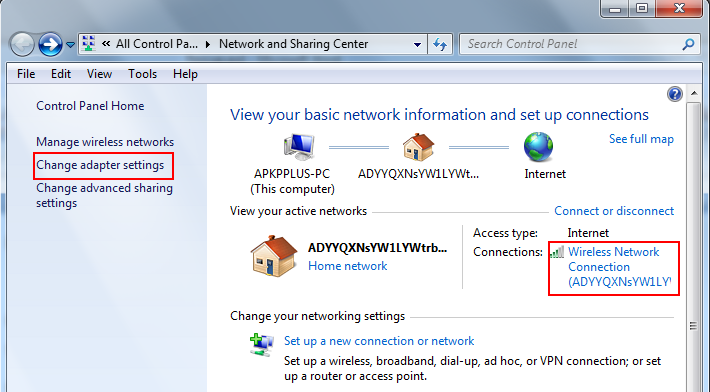 Open Network and Sharing Center by right clicking on network icon that we shown in first method. Go to Change Adapter Settings or select current connected connection. If you are with Adapter settings method, then right click on the active connection adapter (without any error mark). 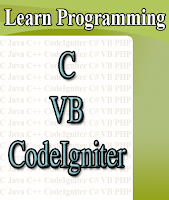 Also Adapter Diagnose will help you to resolve the issue. If you are using broadband connection then you have to configure your connection. If there is any issue with network configuration, then you can’t be connected to internet. 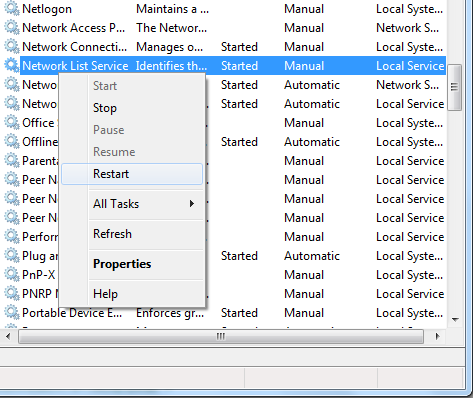 As we shown in above image, go to the Network Adapter settings. And select ‘Options’ and configure the network connection correctly. If all above methods fail, then restarting the computer may solve your problem. Personally I have solved with my computer by restarting method.